“Never Never Land” Available Now! Idina and Cara Mentzel’s duet – “Never Never Land” from the musical Peter Pan – is now available on digital music services everywhere! As children, Idina and her sister Cara saw the musical Peter Pan, and the rest, as they say, is history! Cara recounts the story and the impact the experience had on Idina’s and her lives in her new memoir, Voice Lessons, and to mark the release of the book they are sharing their duet of the song “Never Never Land.” Watch it on YouTube today! 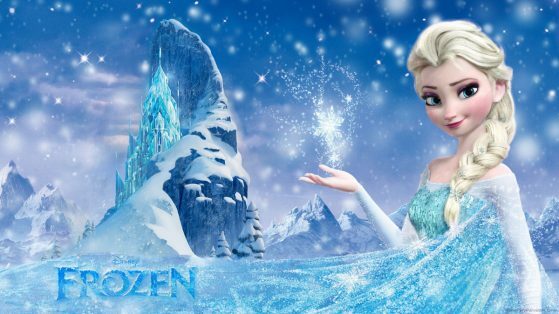 Idina’s voice will be featured once again as Elsa in Disney’s upcoming Frozen short, Olaf’s Frozen Adventure. You can now listen to a preview of “When We’re Together” now, catch the short in theatres beginning November 22 with Pixar’s Coco. The soundtrack will be available November 3.